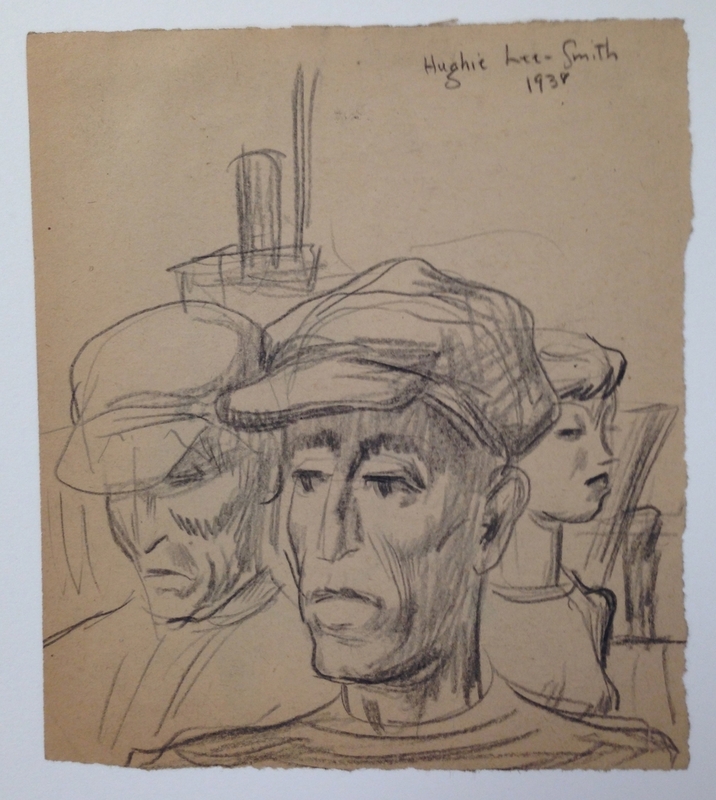 Untitled (Two Men, One Woman), graphite, 1938. Hughie Lee-Smith drew the many different faces of urban life in Cleveland he encountered during the Great Depression. Here an unflinching social-realism is conveyed with superb draughtmanship. Untitled (Head of a Young Woman, with Necklace), ink monotype, circa 1960s. Lee-Smith expanded his range with great experimentation with monotype in the 1960s - a side of the artist's work that is seldom seen. These unique and direct images convey a great immediacy. 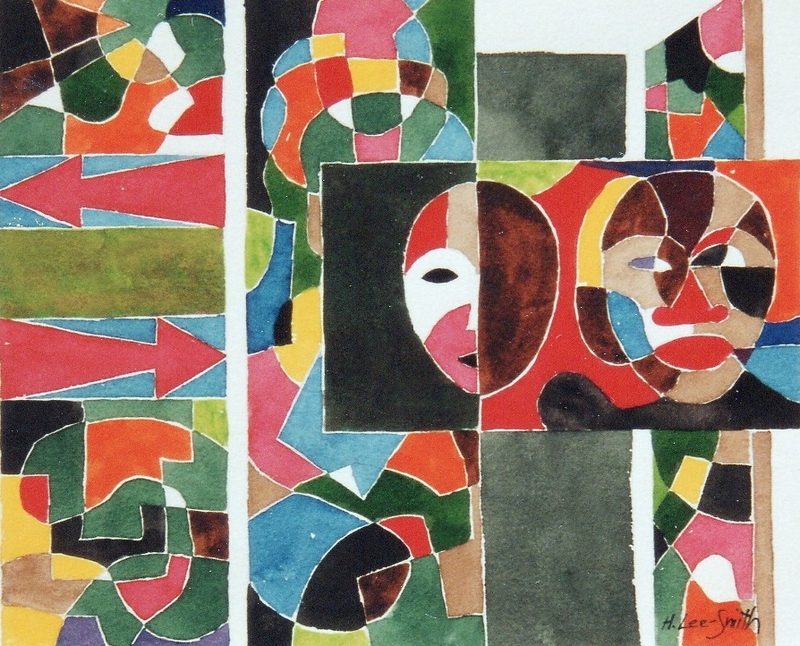 Two Abstract Masks and Screen, watercolor, 1993-4. Late in his career, Lee-Smith developed a new and bold body of work in watercolor which refer back to his early work in theater, and forward to contemporary ideas of changing cultural identity.